Improving the quality of America’s public schools is a critical challenge of the 21st century. Through its Urban Education Initiative (UEI), Smith College prepares students to meet this crucial task. We aspire to prepare educators with the experience, skill and capacity to work in diverse, high-need communities. The skills students gain enable them to work in a broad range of roles, from social work to teaching to community health. "I did not know the truth of the inequality of American schools before I was a part of the Urban Education Initiative. I opened my eyes to the crisis in urban education. Since my internship I have decided that being a part of education reform was my calling." Create an educator pipeline through the Urban Education Pathway: This November through May undergraduate experience expands and diversifies the pipeline of teachers through teaching and policy internships in New York City, Boston, Springfield, Chicago and other urban environments. First-hand experience in urban settings is the best way to understand how theoretical knowledge applies to real-world issues. Since 2000 more than 500 Smith College students have taken advantage of our immersive interterm program, the Urban Education Fellowship. In 2017, we are expanding that fellowship into a yearlong experience. Provide an innovative, high-quality out of school lab program, Project Coach: Staffed and led by Smith students and faculty, Project Coach provides free educational enrichment and recreation to inner-city Springfield students who live just 20 miles from the Grécourt Gates. Fall orientation sessions that prepare students to step into an urban classroom. An interterm fellowship where students gain hands-on teaching skills by serving as an assistant teacher in Springfield, New York City, Boston or another American city. A spring seminar where students engage deeply with local educators, school leadership and policy experts. Urban Education Scholars work under the guidance of faculty and staff from Smith’s Department of Education and Child Study and will engage deeply with local teachers and school administrators. Our partner in this work is Teach Western Mass (TWM), an organization devoted to helping local schools recruit and sustain talented teachers. TWM works with 26 schools—primarily in Springfield and Holyoke—to find energetic, knowledgeable and committed teachers. A series of fall semester orientation sessions help prepare students for their experiences in schools in cities around the country. Before our program expansion, undergraduate students worked in partner elementary, middle and high schools in New York City, Chicago, Los Angeles, Boston and Springfield, MA. Starting in the 2017–18 school year, students additionally engage in a spring seminar focused on the educational environment within western Massachusetts. Through the Urban Education Pathway, Five Colleges students explore how children growing up in urban environments face challenges rooted in social, economic and political conditions that present significant obstacles to their development and their futures. The program prepares students to become leaders in improving urban education by immersing them in the theoretical, practical and human issues facing urban youth and city schools. The Scholars’ connection to TWM will pave the way for students to develop relationships with principals and mentors in the nearby region. Students will form a yearlong cohort committed to exploring teaching and educational policy. Ultimately, Scholars will have priority application status for applying for paid summer teaching jobs associated with TWM. We are looking for students who want to learn more about teaching and the impact one can have working in the classroom. If you have questions about the Urban Education Pathway, please email Jo Glading-DiLorenzo or Julie Anderson. 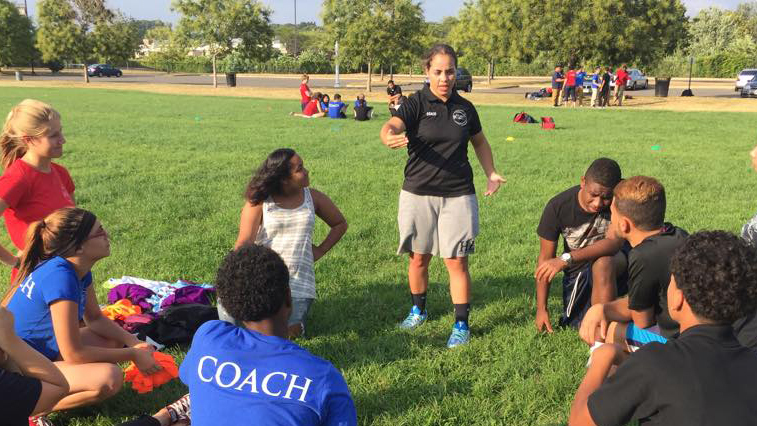 Project Coach brings together Smith College undergraduate and graduate students to inspire and prepare Springfield teenagers to develop the capacity to be great coaches and mentors—to their peers, to children in their neighborhood, to their community, and to themselves. Academic support—including career, college and workforce mentoring – to teen coaches in a city with one of the highest dropout rates in MA to inspire teens to attend school, work hard and graduate. Meaningful work that provides teens with vocational training and essential workforce skills. After-school sports, wellness education and fitness activities to combat the disproportionate effects of asthma, diabetes and obesity on inner city children. Listen to an interview by The Chronicle of Evidence-Based Mentoring with Project Coach Director Jo Glading-DiLorenzo. Smith graduate and undergraduate students support Project Coach by becoming mentors and tutors to Springfield teens, our coaches in training. An innovative tuition-free master's program that prepares aspiring coaches & teachers to work at the intersection of urban youth development and education. Visit the Project Coach website for details. The deadline is January 30. For Smith undergraduates enrolled in education courses requiring community service learning, or for students wanting to work one-on-one with Springfield youth. Academic Coaches meet weekly on Tuesday evenings with teenage students to help with homework, provide support with the college application process, or other projects identified by the students. Email Jo Glading-DiLorenzo (jdilorenzo@smith.edu) or Erin DeCou (edecou@smith.edu) for more information.